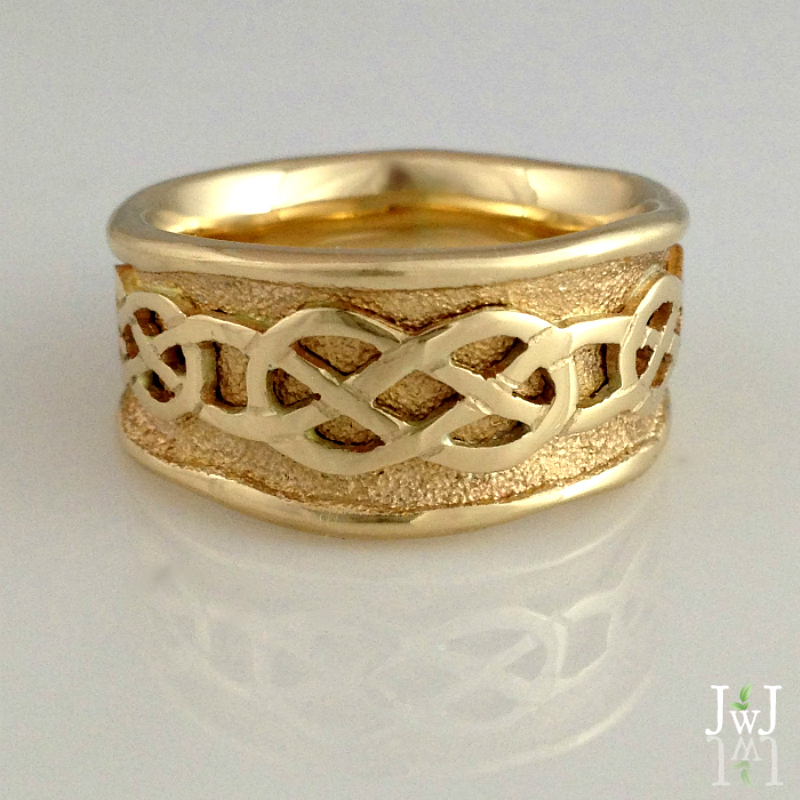 14kt yellow gold Celtic braid overlay ring. Tapered comfort fit. Sand textured background with high polished details.